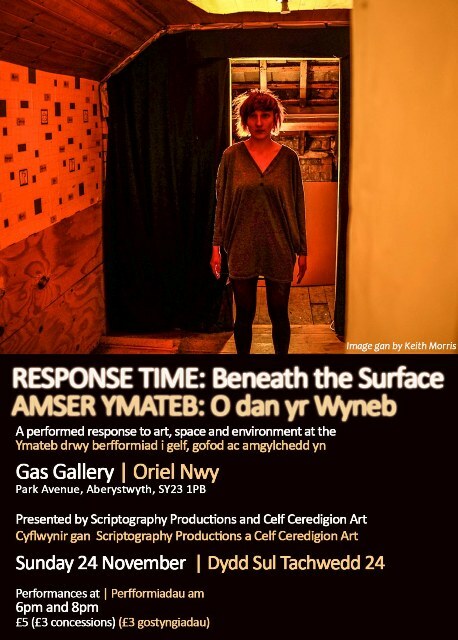 Response Time will be returning this weekend with it’s unique form of performed response to art, space and environment with a response to Cassandra’s Rant by Shani Rhys James at Ceredigion Musuem. So what exactly is unique about it and what is a performed response you might ask. Two very good questions! 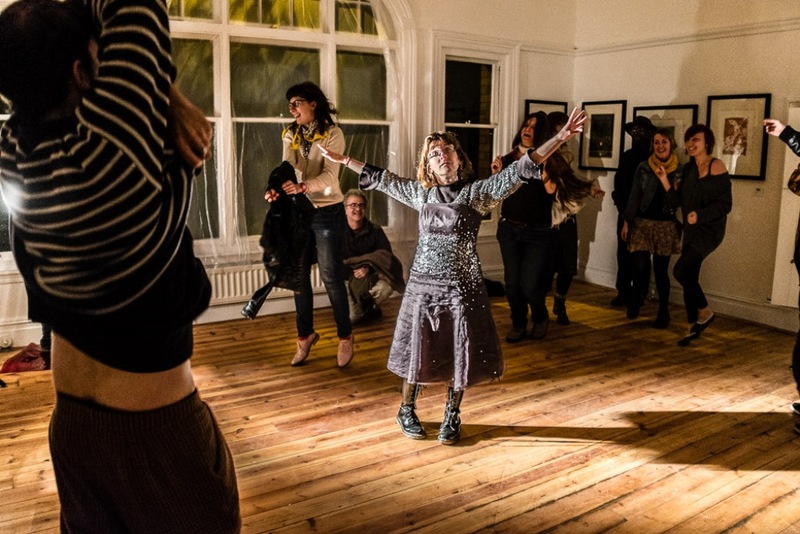 Response Time is a collective of artists and performance makers from varying disciplines of performance including dance, performance art, playwrights, physical theatre, poetry. They are given 48 hours to respond to an exhibition – responding to the art, space and environment. 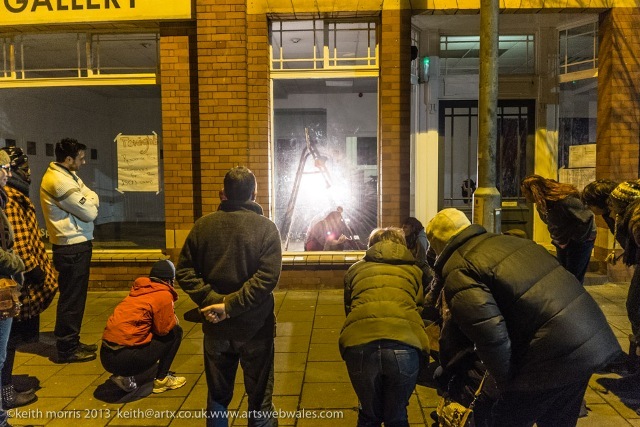 The project started at the Gas Gallery in Aberystwyth where responses included Transitions, Beneath The Surface, Open Space and Adleisio which have included exhibitions by Annie Suganami, Catrin Webster and artists from Aberystwyth Printmakers. 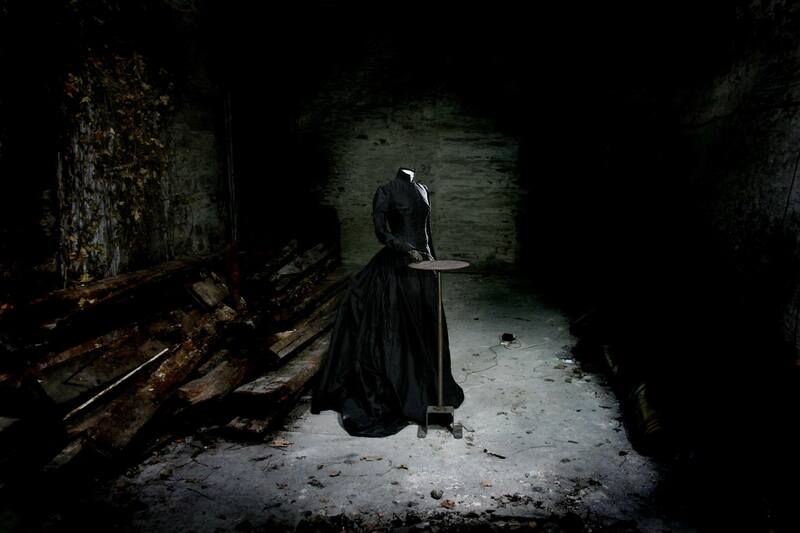 At Aberystwyth Arts Centre we responded to Tim Shaw’s Black Smoke Rising and we responded to Artes Mundi 6 at both National Museum Wales and the Ffoto Gallery in Penarth. The participants spend 48 hours in the gallery and are asked to create a short piece of work which we then collectively curate into about an hour of performance. The audience are invited along at the end and follow us through a promenade performance of the pieces. The 48 hours demands an immediate response – there is no time to think too much about it. 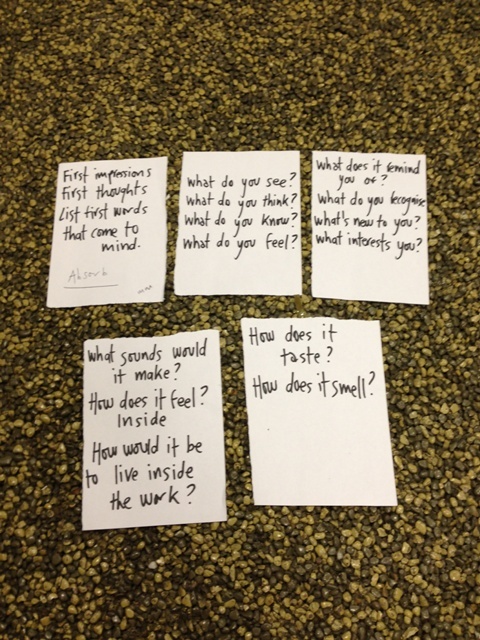 Participants have to formulate their initial responses, their gut reactions to the work because there is simply not enough time to do anything else. There are no restrictions on the work that participants create – we simply ask that it is a response to the art. It allows the participants a freedom to explore their own work and practice through the stimulus of art, space and environment. Effectively they can leave whatever project they are working on, and ideas about how they normally work at the door and enter a space for 48 hours in which they can play. Very importantly it offers the chance to gain valuable and rare performance experience. Everyone knows it is a piece of work created in 48 hours and so it will not be polished, it will probably not be complete, and so the participants can also simply enjoy sharing the work with an audience. Also importantly we respect the work and the artist – we have spent 48 hours with the work, we have lived with it for two days, we have probably seen things that a quick visit to a gallery will not offer, we have looked at it from different angles, we have challenged our own thoughts on it, and interrogated our thoughts on it, it has haunted our dreams and kept us from sleeping. We will through the 48 hours fall in love with, fall out of love with it and then fallen back in love with it – and occasionally sworn revenge on it. We have declared on several points through the 48 hours that we are simply not worthy of the art, we have become intimidated by the hours, days and weeks the artist has taken on each piece and been overwhelmed by the thought of how we can possibly express something worthy of what the artist has put into the work. Also though we have had fun, been part of a great and growing collective, we have had a space to play, a space to talk, a space to chat about what is bothering us about our work and the world. We have shared 48 hours of magical moments and we’ve opened up our hearts to the art and the artist and we’ve been brave enough to share our thoughts and ideas to an audience. Tomorrow we will begin that journey with Cassandra’s Rant an exhibition of Shani Rhys James automata at Ceredigion Musuem – we will be sharing the work as part of the official opening of the exhibition on Saturday 14th February at 12PM. Come along, see the exhibition and see what we have created. We will probably look tired but we will be really pleased to share what we have created with you. 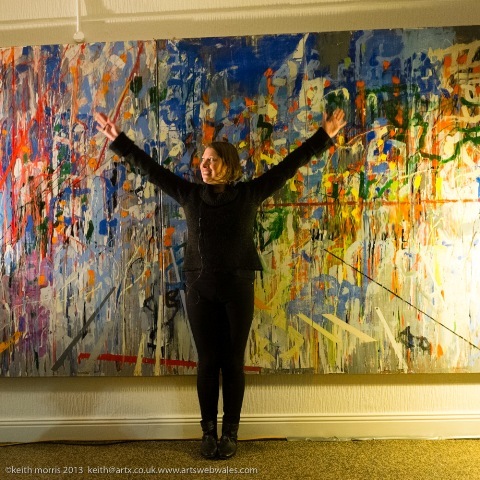 This entry was posted in Uncategorized and tagged Aberystwyth Arts Centre, Agent 160, Aislinn Knight, Art, artes mundi 6, catrin webster, ceredigion museum, Gas Gallery, performance art, shani rhys james on February 11, 2015 by Sandra Bendelow. 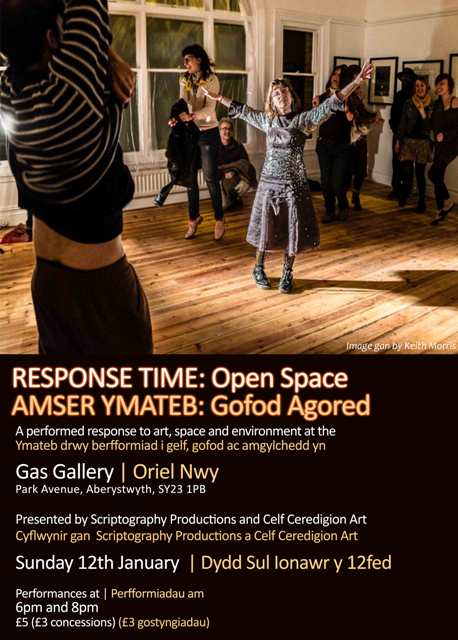 Following on from our two previous RESPONSE TIME projects, PILOT LIGHT and TRANSITIONS Scriptography Productions will be hosting a performed response to art, space and environment at the Gas Gallery, Park Avenue, Aberystwyth during the weekend of Friday 22nd – Sunday 24th November. We welcome new participants to come along and take part in any capacity either in producing work alone or in collaboration with others. 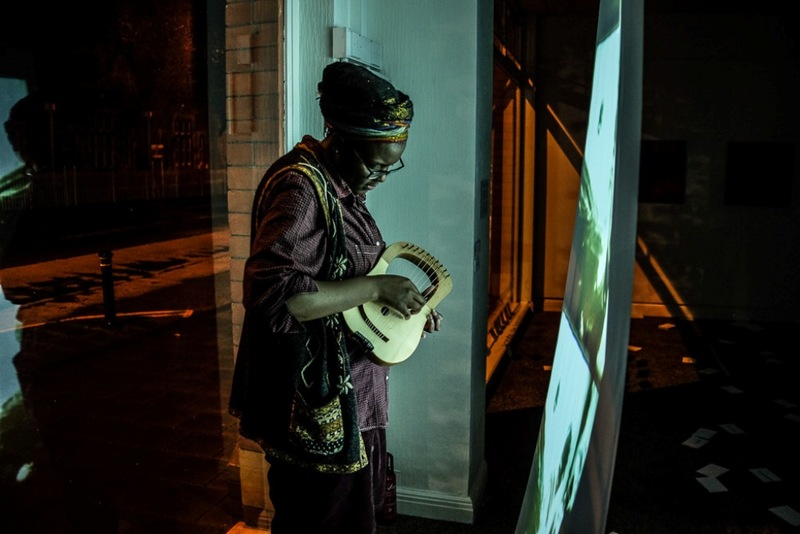 The weekend produces an eclectic mix of art-forms from text-based to physical, from performance art to audio drama and we are always looking to encourage new ways to participate in the weekend. Participants need to be available through the weekend from 5pm on Friday through to Sunday 24th November and we do encourage participants to spend as much time as possible through the weekend at the Gas Gallery but required timings vary according to involvement so feel free to contact me if you wish to be involved but may not be available for the whole of the weekend. In addition we are looking for performers to collaborate with other and to perform work written by other people so please contact us if you are interested in helping someone else to develop an idea for performance. During the weekend we will provide you with a friendly, supportive and creative environment to help you develop your ideas and the opportunity to work alongside more experienced artists and performance makers. If you are interested in simply popping in to see what we get up then please feel free to call into the Gas Gallery at any time during the weekend during opening hours Saturday 11-5 and Sunday 11-2. If you would like to come along to see the work developed during the weekend we will be sharing it with audiences on Sunday 24th November. There will be two performances at 6PM and 8PM. 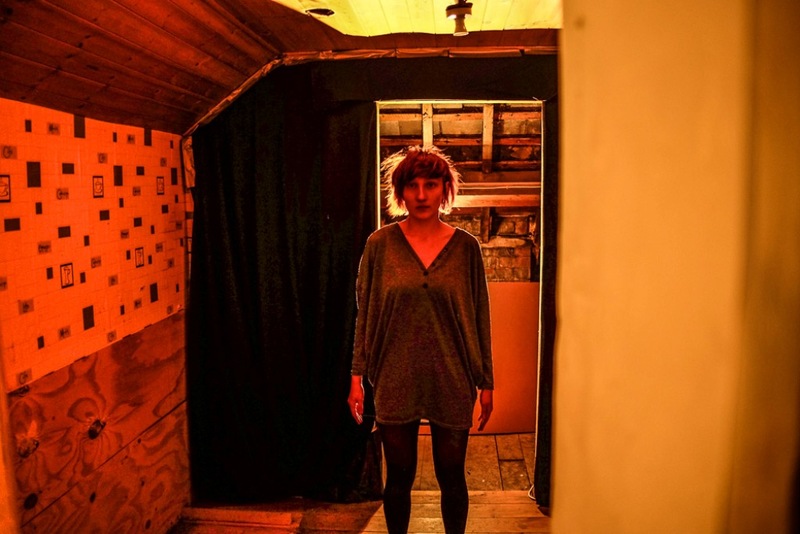 This entry was posted in Performed Response to Art and tagged Celf Ceredigion Art, Environment, Gas Gallery, Hannah Pullen, Interactive performance, new writing, performance art, Site specific, Space on November 14, 2013 by Sandra Bendelow. and the environment around the Gas Gallery. The weekend saw a flurry of creative conversations – earnest conversations, supportive conversations, reassuring conversations – from them emerged friendships and new creative collaborations both equally important. Words floated in the air, were strewn around the gallery and written in a notebook on the staircase. 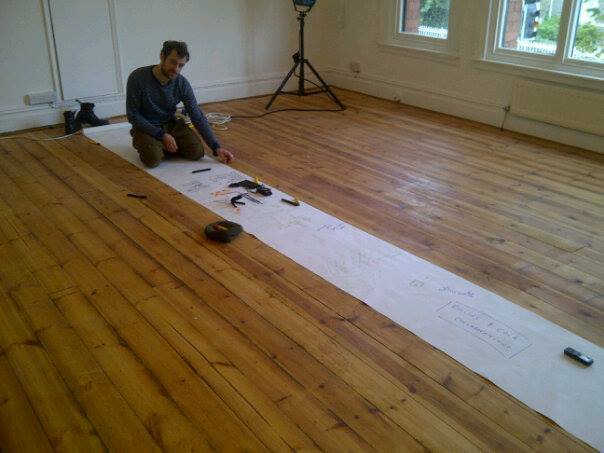 There was lots of noise – engineered noise to make a soundscape for a movement piece, a lyre, music, singing and laughter. New art was created and the art in the gallery was re-projected, using the reflection of an i-phone, into different spaces. Some art was re-projected onto other art and some art was hidden from prying eyes. We again opened up spaces not used before in the gallery and once again we locked a man in a cupboard but also we locked a dancing girl in a cupboard and abandoned her to dance forever. It was interesting to see which art and spaces proved inspirational for the participants, Dance or Constanza and Untitled by Jo Hounsome featured in more than one, interestingly more people chose to respond to the gallery spaces, the dark night and story weather became a feature of many of the works. Beyond the beginnings of art and theatre which emerged, as with Pilot light, the most exciting part of the Transitions weekend was to see the impact on young, emerging artists seeing them present work to the public for the first time, seeing them gain confidence in their artistic practices, seeing them try out new ways of working and seeing them form new partnerships and collaborations all of which will grow and strengthen beyond the creative excitement of creating work within 48 hours. The next performed response project Response Time: Beneath the Surface will take place Friday 22nd – Sunday 24th November. Beneath the Surface will be responding to two exhibitions Catrin Webster – Along the Surface and Karen Robbie – A Personal Adventure. The work will be shared with audiences for two performances on Sunday 24th November 6PM and 8PM. Please also feel free to call in during Gallery open hours Saturday 23rd November 11am – 5pm. 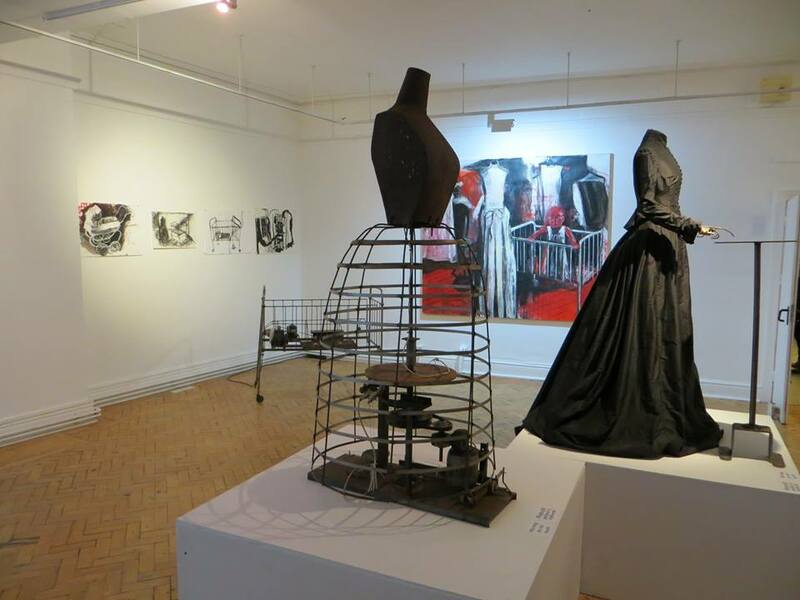 Information on the exhibitions and the Gas Gallery is available at the Celf Ceredigion Art website. If you are interested in participating contact scriptographyproductions@gmail.com . 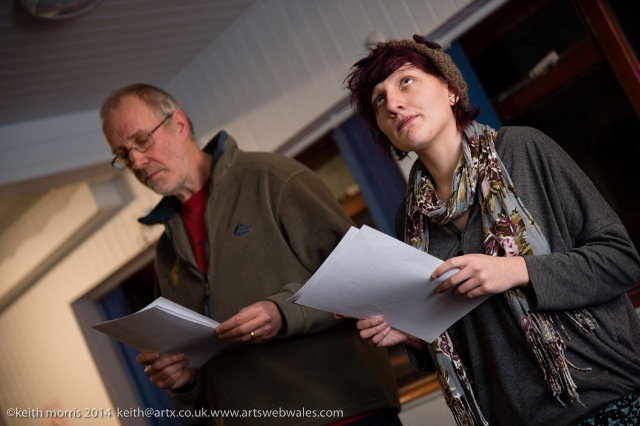 This entry was posted in Performed Response to Art and tagged Art, Audio-plays, Catrin Ffur Huws, Celf Ceredigion Art, Environment, Gas Gallery, Interactive performance, new writing, performance art, Site specific, Space on November 9, 2013 by Sandra Bendelow. 3. James Baker — Responding to The Red Lady by Gini Wade. 6. Hannah Pullen—Responding to Dance for Constanza by Wuon Gean Ho. 7. Written and performed by Roger Boyle. The next Response Time will take place on Sunday 24th November in the Gas Gallery. This entry was posted in Performed Response to Art and tagged Ali Matthews, Art, Audio-plays, Branwen Davies, Catrin Ffur Huws, Celf Ceredigion Art, Crash Test Aber, Directing, Edel O'Reilly, Environment, Gas Gallery, Interactive performance, new writing, Nick Jones, Rebeccas Louise Collins, Ruth Hogg, Space, William Bock on October 28, 2013 by Sandra Bendelow.